Parents are the centre of a child’s world and how a parent behaves highly influences the little ones. Words spoken without the support of action are ineffective in most cases, so parents need to be more aware of their own behaviours and practice better habits. If we want kids to do what we say, we must show them how it’s done! Being positive does not translate to creating a false sense of safety so that children never feel any negative emotions such as disappointment and hurt. On the contrary, kids need to experience negative emotions now and then, but they also require the gentle guidance of a parent to steer them through their confusing sea of emotions, process and understand them. The end goal is to acknowledge children’s feelings and teach them how to perceive them. Once parents have helped children navigate through their emotions, it is crucial to help them focus on a way to resolve the situation. Asking questions such as “What do you think will help this situation?” or “What do you think is the best way to handle this?” can help develop their positive thinking skills. Moving forward in a healthy way and not becoming paralyzed by the negative emotions is the ultimate aim. If there isn’t any way to fix the situation, such as the passing of a pet, help children remember the good things they experienced. Helping kids to not take bad criticism personally, and see constructive criticism as an opportunity for growth will give them a head start in life. Healthy rituals started in childhood will most likely be replicated in adulthood. A great family ritual to encourage gratitude and as a result positive thinking, is to share what each family member is grateful for that day at the dinner table. 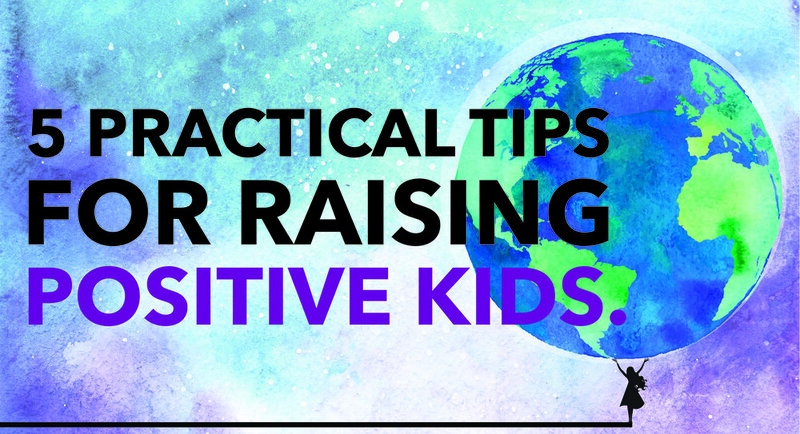 Make positive thinking a part of your familial culture. Parents can help children differentiate between constructive criticisms (such as their teacher’s feedback on a project) and bad criticisms (such as name calling by their peers). Helping kids to not take bad criticism personally, and see constructive criticism as an opportunity for growth will give them a head start in life.